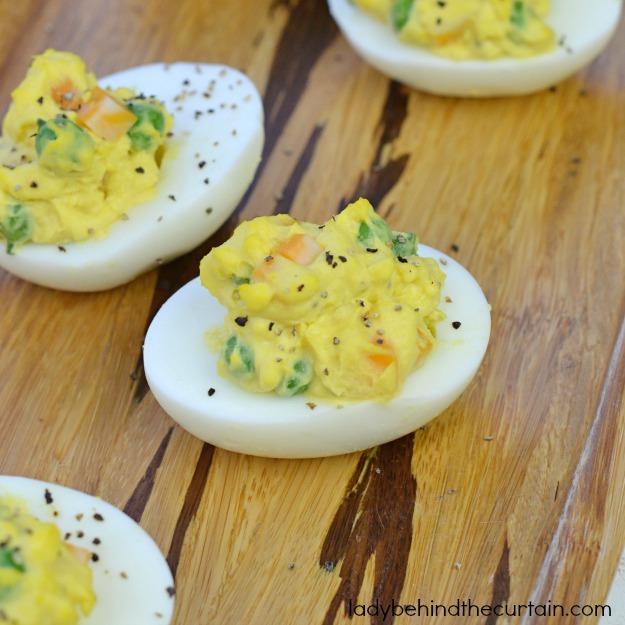 I love Layered Pea Salad and that is exactly what these Cheesy Peasy Deviled Eggs remind me of. I just love the versatility of the deviled egg. Make them as an appetizer for a dinner party or take them on a picnic. Plus, you can add anything to them. 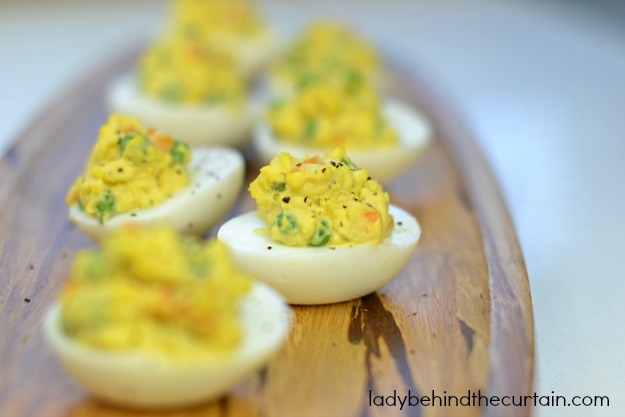 Like these Cheesy Peasy Deviled Eggs. You still get the tangy flavor you love but with little bits of cheese and petite peas. My Easter table is not complete without deviled eggs. This year I think I’ll serve these instead of the traditional ones. For the cheese I made it very simple and used a cheese stick. That way the cheese is already the right shape. 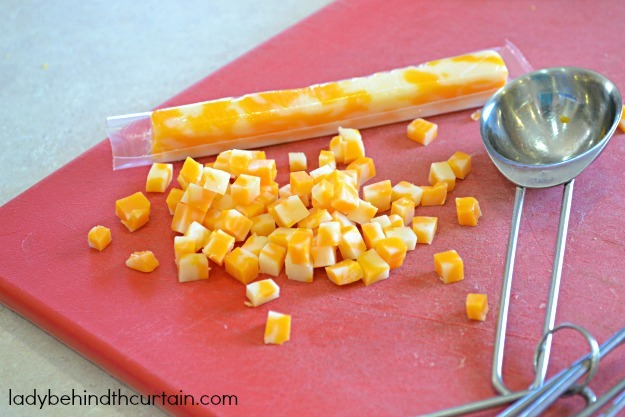 Cut the cheese into 4 strips and then pieces. So easy but adds texture and flavor. 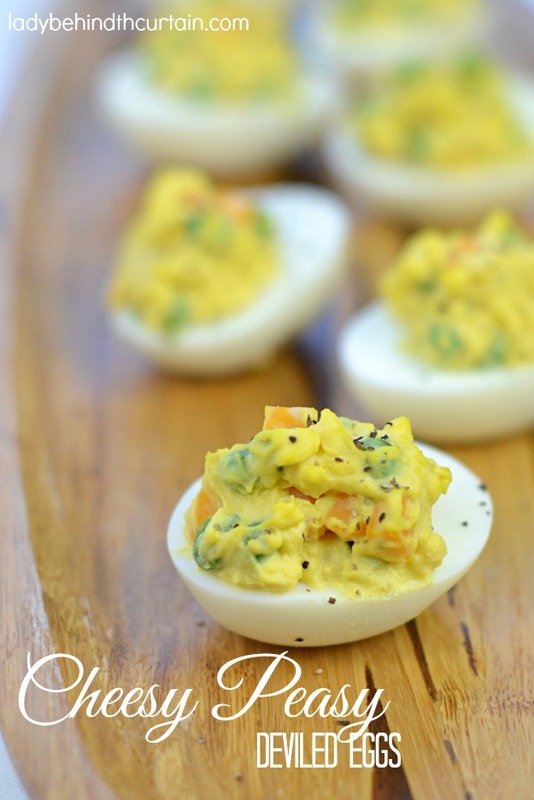 FOLLOW MY DEVILED EGG PINTEREST BOARD with already over 30 pins of just deviled eggs! Place yolks in a medium bowl. Add the mayonnaise, mustard, salt and pepper. Stir until combined and creamy. Fold in the cheese and peas. I bet my kids would love these!